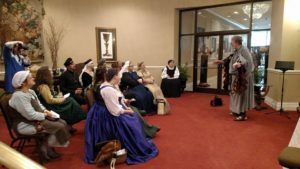 Atlantia Royal Players – Year 1 Accomplishments! Last summer, our beloved Queen Thora approved and blessed a new experiment by the Atlantia Performing Arts Guild – the Royal Players program! This is a program where a team of experienced performers is gathered to represent a wide variety of performing arts and geographic locations throughout Atlantia. 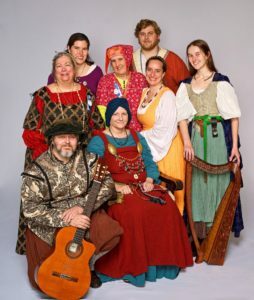 This team has the mission to create time and space for Performing Arts activities at events throughout the kingdom and model excellence in performing. 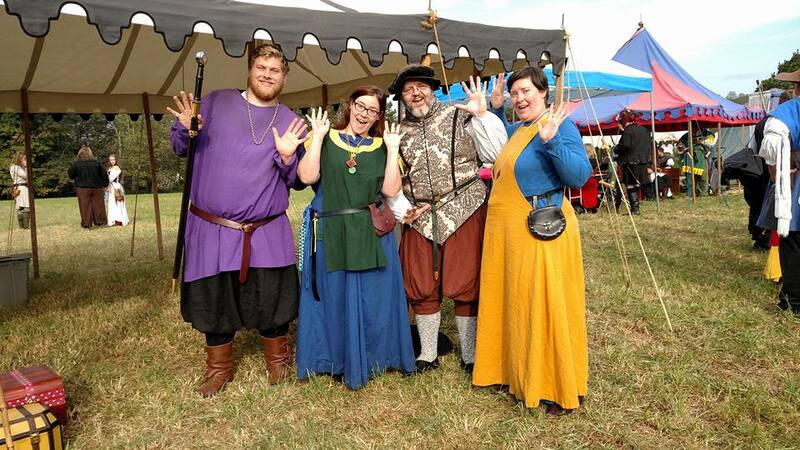 The Royal Players team is presented and approved by Their Majesties of Atlantia and presented to the populace at Pennsic. They serve a one year term, then they have the option to continue or opt out. New members can be recommended and invited by the team. 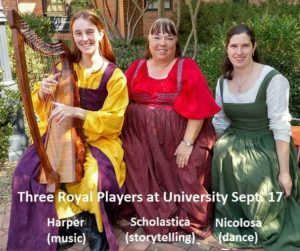 Altogether, the Royal Players team created 121 activities in support of Performing Arts this year. They attended 26 events over the past year, not including rehearsals and practices. 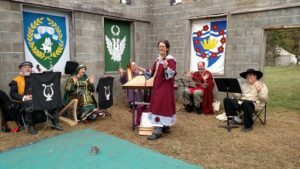 Mistress Azza has created a system for the Atlantia Dance Band to get organized. She posts the play list with links to sheet music and recordings of her playing the pieces. It’s an excellent way to support musicians and dancers. 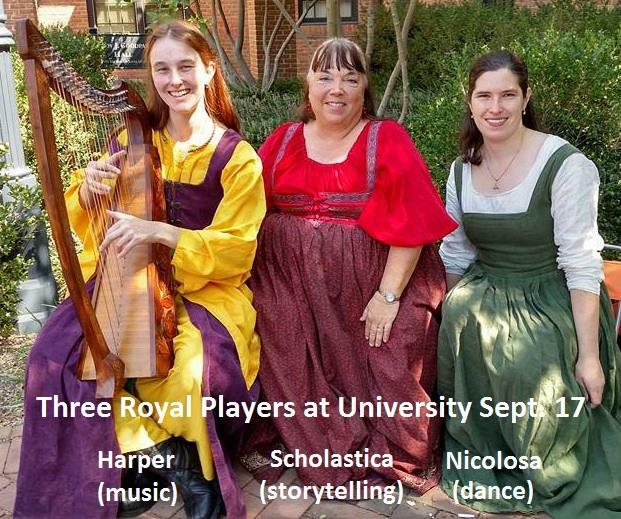 Next year’s Royal Players team is currently in the hands of Their Majesties, Cuan and Signy, awaiting approval. The announcement for approval and names of the team members will be made at Atlantia Royal Court at Pennsic, starting at 6:00pm on War week Wednesday. 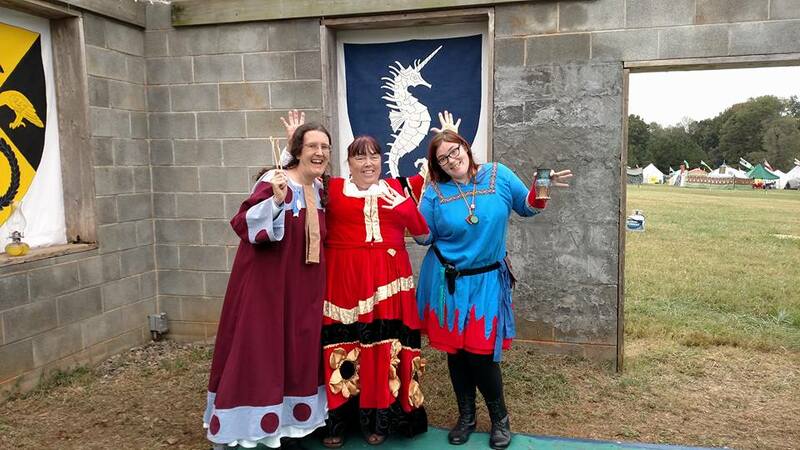 Great Vivants to the Royal Players of Atlantia!! Great job everyone!! !